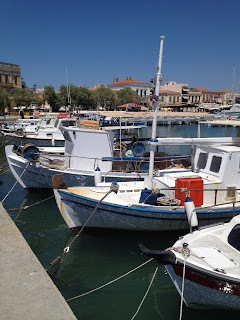 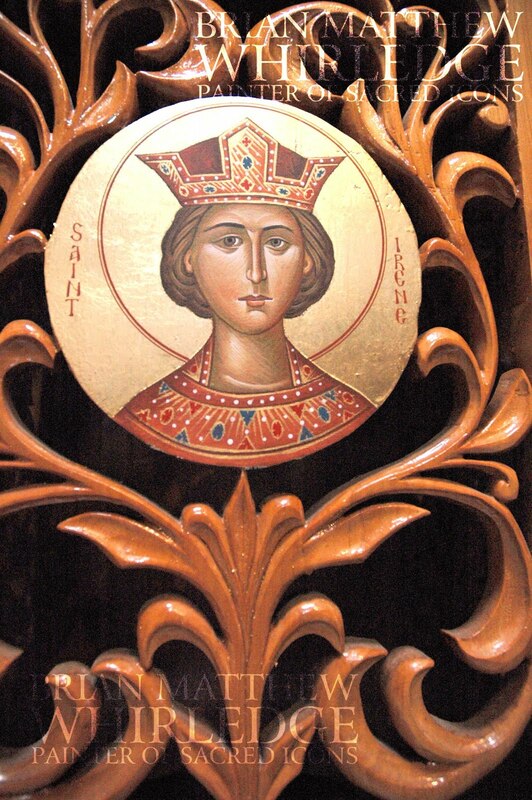 Saint Irene was raised in paganism to royal parents. She embraced the Christian faith, converted thousands to Christianty through working miracles and miraculously surviving innumerable tortures. 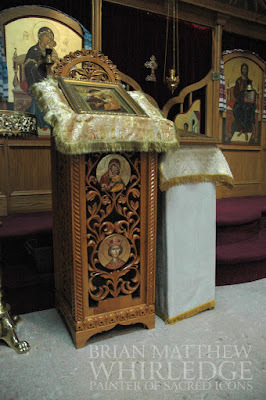 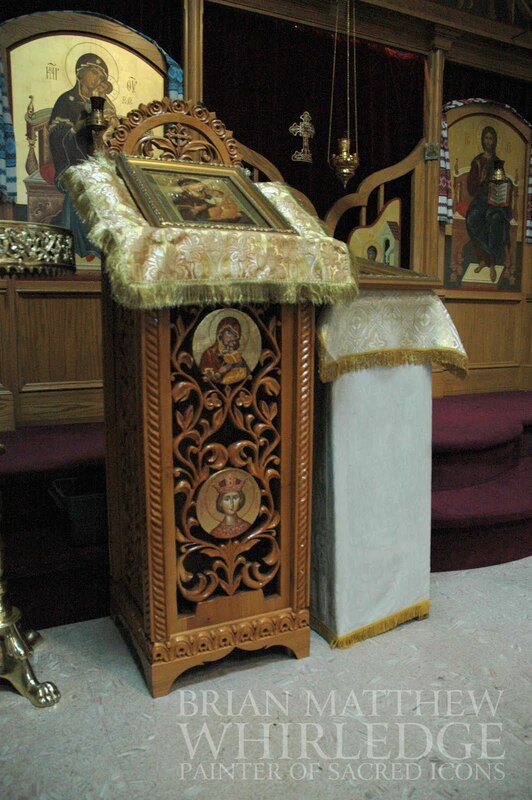 The analogia at Holy Spirit Orthodox Church, Wantage, New Jersey, were donated to the parish some years ago. 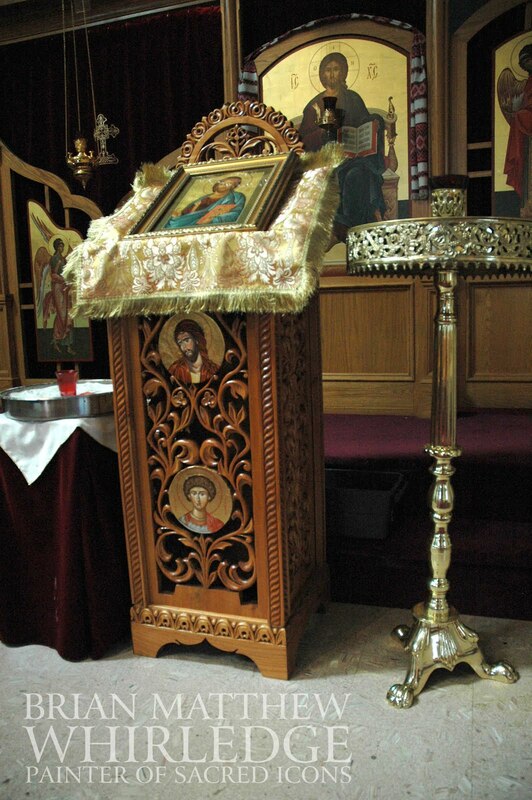 They were beautifully carved in Romania, with hand-painted icons of Christ and the Theotokos in the top circles, but the lower circles were blank. A parishioner commissioned icons to be painted on the lower circles of both analogia, in memory of her parents, George and Irene. 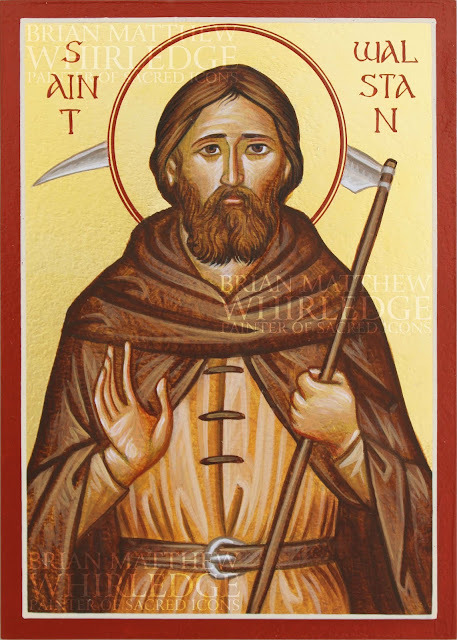 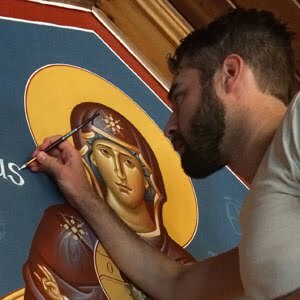 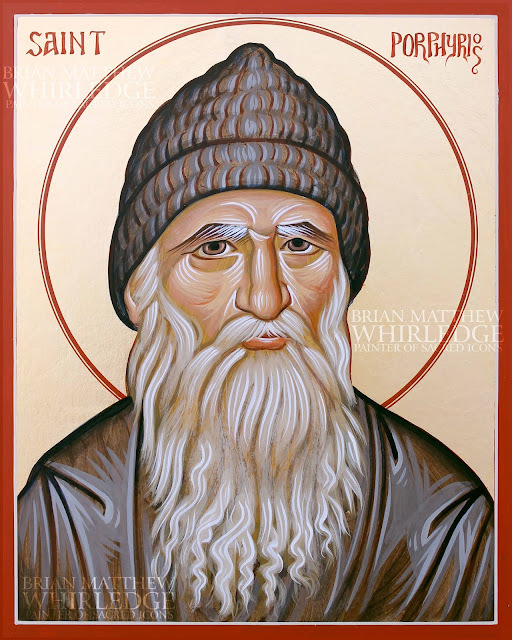 The commission also included gilding the halos and backgrounds of all four circular icons.